The Countryman is surrounded by stunning open countryside set close to the small village of Shipley, the 3,500 acres of farmland owned by the Knepp Castle Estate provides the perfect backdrop for a pub lunch in the beer garden or an evening in front of the fireplace. Inside you’ll find warming log fires in the winter, and cask conditioned Harvey’s and Organic Horsham ales in the cosy bar, together with over 30 wines from around the world. 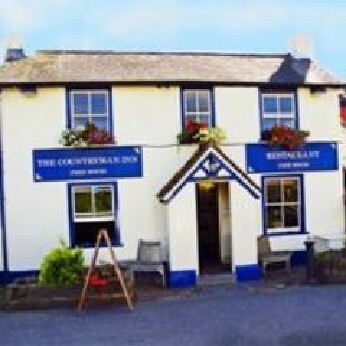 Here at the countryman we pride ourselves on producing traditional country pub fayre. We use fresh seasonal ingredients from our neighbouring farms, growers and producers. Fresh fish is always available and is landed at Newhaven, Brighton and Shoreham from family owned day boats working along the south coast. We won’t cut corners and make sure that all of our ingredients are in the best possible condition. However, due to purchasing locally sourced ingredients from small producers our day to day menu may vary. Our food is evolving all of the time, and we will always look to feature the pub classics such as Steaks, Fish & Chips, Burgers and Pies with some fantastic daily specials on offer if you fancy something a little more adventurous. Part Time experienced Bar/waiting staff required for Wednesday, Thursday and Friday Evenings. Phone Alan 01403 741383. Thakeham Morris.. Don't miss out!